As some of you may know, today I am off on an exciting adventure! I’m (reluctantly) leaving Sunflower to travel through Europe for six months! I will be in Italy, France, Spain, UK, Croatia, Turkey and who knows where else. All being well I will return to Sunflower in September but until then you will be in the capable hands of the usual crew. Although I fear slightly for the welfare of our blogging community once Steven gets free reign…. 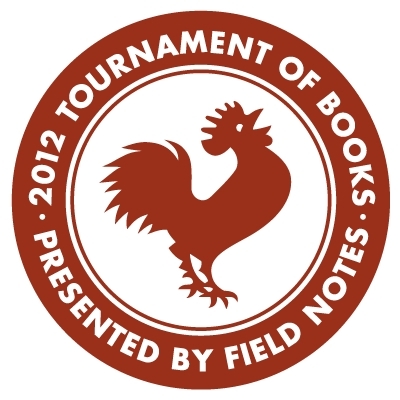 I will be trying to keep in touch for some occassional Chatz (probably not on Sat[urday]) and to post some thoughts on the Tournament of Books. But I may not be able to adequately defend The Marriage Plot so this is a call to all Eugenides fans – back me up in comments, I need you! I’m also hoping to go to some literary events in Europe and would love to keep you updated. If you miss me too much you can follow me on my regular blog http://www.1001booksimustread.wordpress.com where I am slowly working my way through the 1001 Books You Must Read Before You Die list. While I’m away I’ll be reading books linked to my locations to provide witty and relevant commentary on both the novels themselves and my personal experiences. I hope. More likely it will be the usual vague and uninsightful ramblings. But you might miss that! If you have any country related suggestions (for books or for visitng!) or wish to tell me how much you’ll miss me, feel free to email me at f.helfenbaum@gmail.com. So farewell for now! I will miss you muchly!